Gibson Kuenzi - Siegmund Excavation & Construction, Inc. 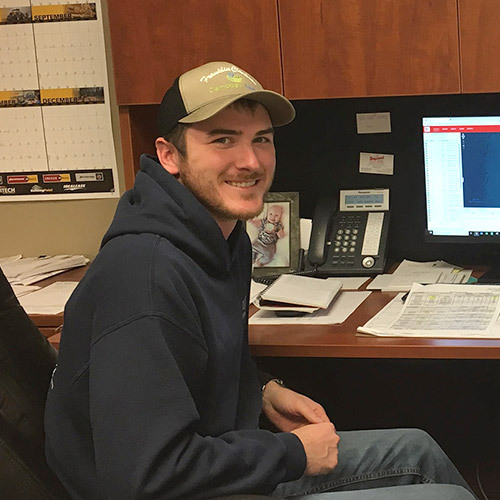 When Gibson Kuenzi joined the Siegmund Excavation team as a Project Manager/Estimator in October of 2016, he brought with him a wealth of knowledge, both in and out of the classroom. He spent 8+ years working for a local Heavy Civil/Highway constructor, starting as a laborer, then an operator, and eventually becoming a Project Manager/Estimator. Gibson has a Bachelors Degree in Construction Engineering Management with a Business Minor from Oregon State University. Gibson grew up in Silverton, Oregon. He played basketball thru middle school and was involved with FFA at Silverton High School. These days, when Gibson isn’t at work, you’ll find him spending time with his beautiful wife, Rebekah and their son Jackson. He has a passion for the outdoors, and enjoys hunting, fishing and hiking. The three of them spend a lot of time with family and friends, and are also involved with their church family.